A 16-year-old boy and a 12-year-old girl have been found dead in Barbossa, Colombia. 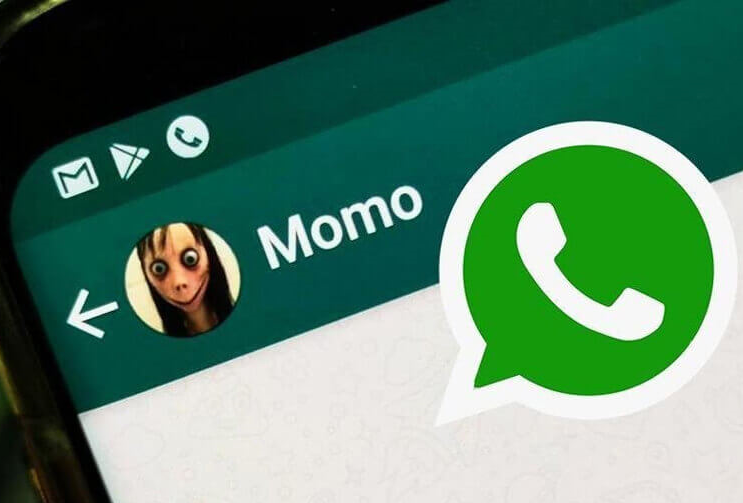 According to the authorities, both committed suicide a playing the gruesome Momo challenge on the WhatsApp applications of their mobile phones. In the game, Momo (a naked bird with a female head) manipulates teens to perform all kinds of assignments. The last order follows 48 hours after starting. "Commit suicide" to win the game. First, the authorities found the lifeless body of a 16-year-old boy and two days later that of a 12-year-old girl. The two knew each other and participated in the same "game". It was the 16-year-old who had introduced the girl to Momo via WhatsApp after he started doing the assignments. Momo is the name of an art project by Japanese artist Midori Hayashi, who gave a naked bird the head of a frightening woman. He himself could never have imagined that a photo of his art piece would be used to incite young people to commit suicide. Related coverage: <a href="https://thegoldwater.com/news/34139-Horrifying-Momo-Suicide-Game-Infiltrates-Minecraft-YouTube"> Horrifying Momo Suicide Game Infiltrates Minecraft, YouTube</a>. Hayashi stresses that he has nothing to do with the WhatsApp challenges. Just like the previous ‘Blue Whale Challenges’, young people are challenged to add a number via WhatsApp to their contact lists: the Momo number. As soon as you start talking to her, the conversation takes a turn for the worse. The person answering sends out bizarre answers and images, especially around 3 o'clock at night. She always answers with a cheesy simple answer but does not intend to play it simple. "I know everything about you," she writes to everyone who follows her. "If you do not follow my instructions, I will release my curse over you and I will make you disappear from this planet." It remains unknown who invented the ‘challenges’ (scammers, tough teenagers or foolish jokers?). Already in March of this year authorities warned about the "virus". In Colombia, Argentina, the US, and Mexico, numerous reports have already been received from people who are dealing with the telephone number. Over in Europe, reports came in from France, Spain, and Germany. Authorities are urging teens not to participate in the hype. At every step of the game, the youngsters are urged to post a photo on social media proving they’ve completed a level. At the very end, at the very last assignment, they are urged to "win" the game by committing suicide. We have a tablet / smartphone addicted generation. While only a few might follow the instructions of their electronic master to this extent now. We have to wonder what future generations addictions will be like. 1st commenter, I totally agree with you. Parents/adults need to limit the time kids are allowed to spend on their phones, computers and gaming devices, and make them spend time outside, being with other humans and increasing their social skills. Pretty soon, everyone will be isolated to their homes, while the government dictates our every move! 1st commenter, I totally agree with you. Parents/adults need to limit the time kids are allowed to spend on their phones, computers and gaming devices, and make them spend time outside, being with other humans and increasing their social skills. Pretty soon, everyone will be isolated to their homes.